To commemorate this milestone, we are creating a new range of branch clothing with the branch 40th Anniversary logo embroidered in ruby coloured thread. Hoodies & sweatshirts must be ordered in advance. All garments are available in: Black, Grey, Navy Blue, Royal Blue, Sky Blue. Additional colours available can be selected from lists below the order form. If you would like to place an order, please complete the form below. Payment will be collected on collection. 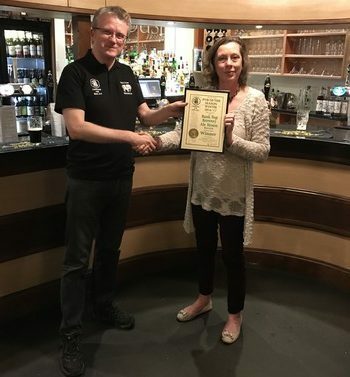 Congratulations are due to Bank Top Brewery Ale House on winning the Bolton CAMRA members’ vote for Winter Pub of the Season. The presentation took place on 14th February at the pub. Nominations for the Spring Pub of the Season will be open shortly. 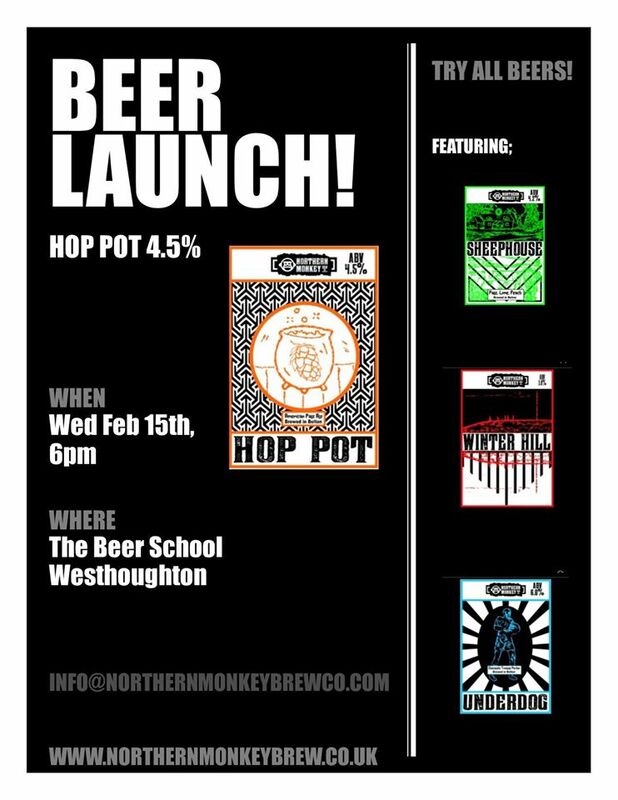 Northern Monkey are launching their new ale, Hop Pot, at The Beer School, Westhoughton. Full details below. The Branch needs to put forward some judges for the Regional Pub and Club of the Year. This involves visiting the PotY and CotY in the other Greater Manchester branches during March and April and carrying out the scoring using the standard forms. 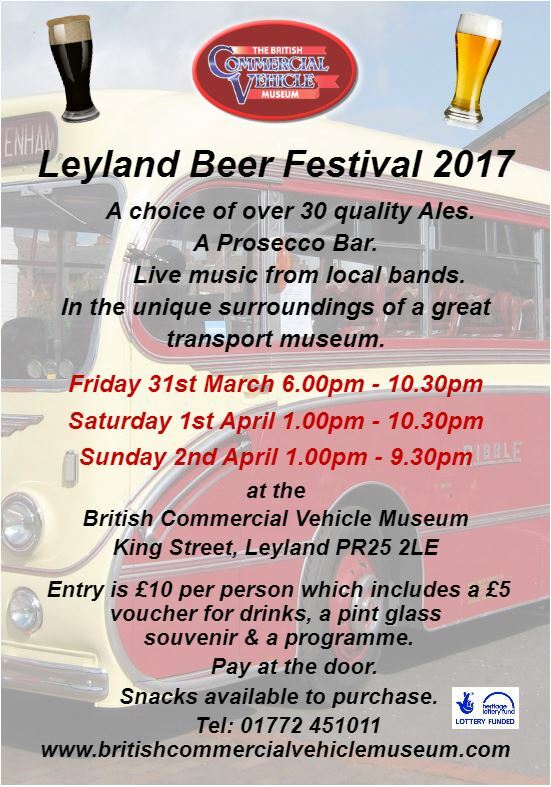 Any Bolton CAMRA member is eligible to carry out the judging – if you are interested please contact the branch chair Graham Walsh.